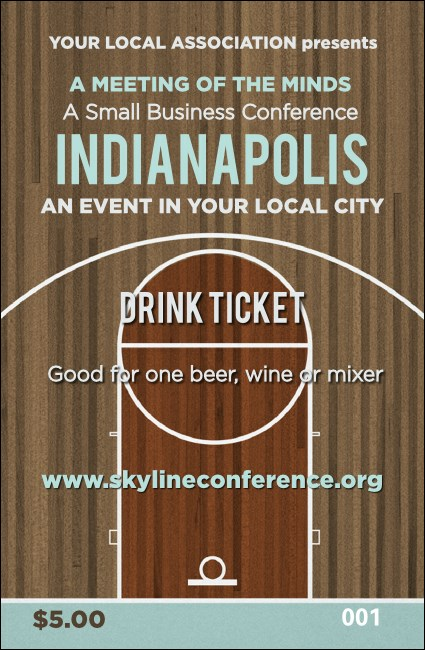 Impress the Midwest with your high beverage standards in the Hoosier State when you give your guests Indianapolis Basketball Drink Tickets at your next sports event. Each ticket features a basketball court background design accented with light blue text along with sequential numbering for security. Play to win with TicketPrinting.com!